Super blooms are extremely rare, occurring only once every few decades on average. 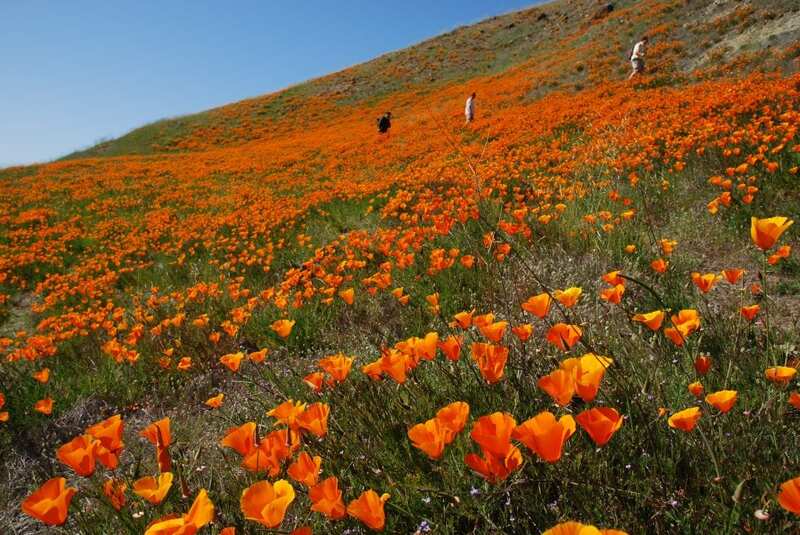 Typically reserved for more dry and arid terrains, the tell-tale sign of a super bloom is when wildflowers blossom in massive numbers, and in places they usually wouldn’t. Luckily for us, the Tri-Valley is no stranger to a variety of wildflowers blooming throughout our foothills each spring. In fact, California Poppies grow year-round in Mt. Diablo State Park. California Poppies grow year-round in Mount. Diablo State Park. 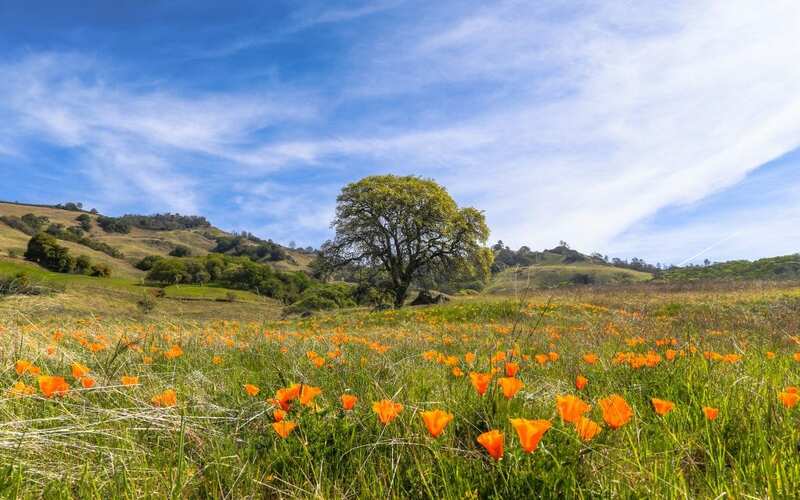 The best place to spot wildflowers in the Tri-Valley is Mount Diablo State Park. Typically, even on years where there isn’t a super bloom, Mt. Diablo will become home to endless fields of California Poppies, Daffodils, Dove Lupine, and dozens of other varieties of wildflowers. Check out our gallery below for a few blossoms spotted in Mt. Diablo. Each year wildflowers sprout up in different areas around the park. That said, stick close to any trails near the summit and you’re likely to spot some wildflower action. Some experts have said that the fields near Rock City, the road past the South Gate Entrance, and the Mitchell Canyon – Eagle Loop are all promising areas for petal perusing. 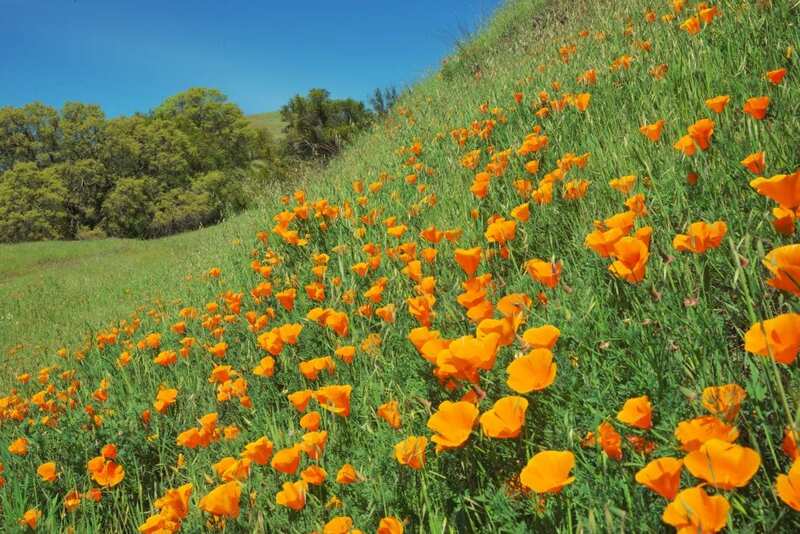 While the most intense blooms usually arrive around mid-April, you can read up-to-date notes from Mount Diablo Interpretative Association’s “flower finders” by checking out their website here. Also, don’t forget to take pictures of the flowers you find and match them up with the MDIA’s Wildflower Guide when you get home. Collecting or destroying anything in the park is prohibited. While on the search for wildflowers, please take care to not step on, lay on, or pick any of the flowers growing in Mt. Diablo State Park. While these do blooms make the perfect Instagram picture, we just ask that you snap your photos safely. We Want to See Your Springtime Photos! On the watch for wildflowers? We want to see how you do spring in the Tri-Valley. Tag us @visittrivalley and #visittrivalley for a chance to be featured on our website and social media channels!